Here is a ticket that invites your guest to your wedding. 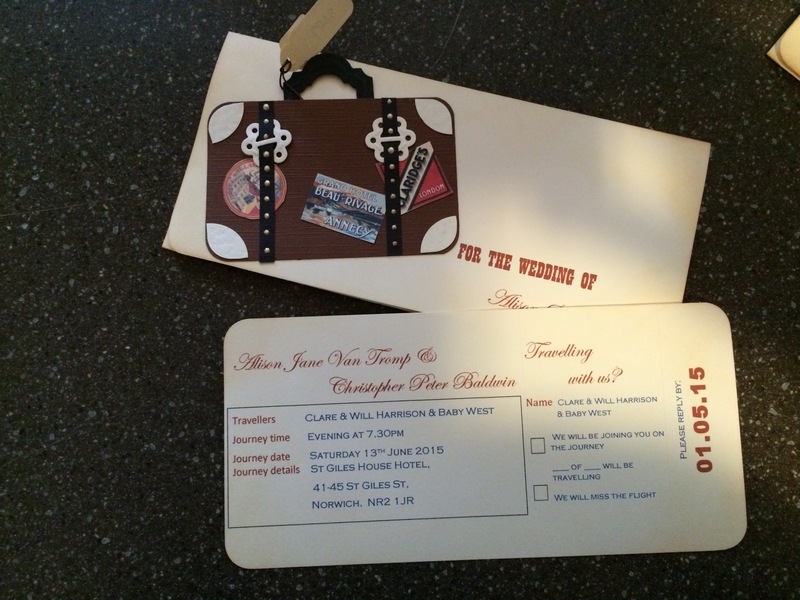 There is a tear off section to return as an RSVP and for this wedding we included another ‘ticket’ that was for the guests menu selections. The suitcase on the front and the aged paper were designed to match the vintage travel theme of the wedding but the design on the front could have been a boat, car or a plane. For a cleaner look crisp white documents could be chosen with shades of blue maybe for the writing. White in white is very on trend at the moment, so I have chosen a bright white background and a winter white additions as this helps to see the intricate detail. 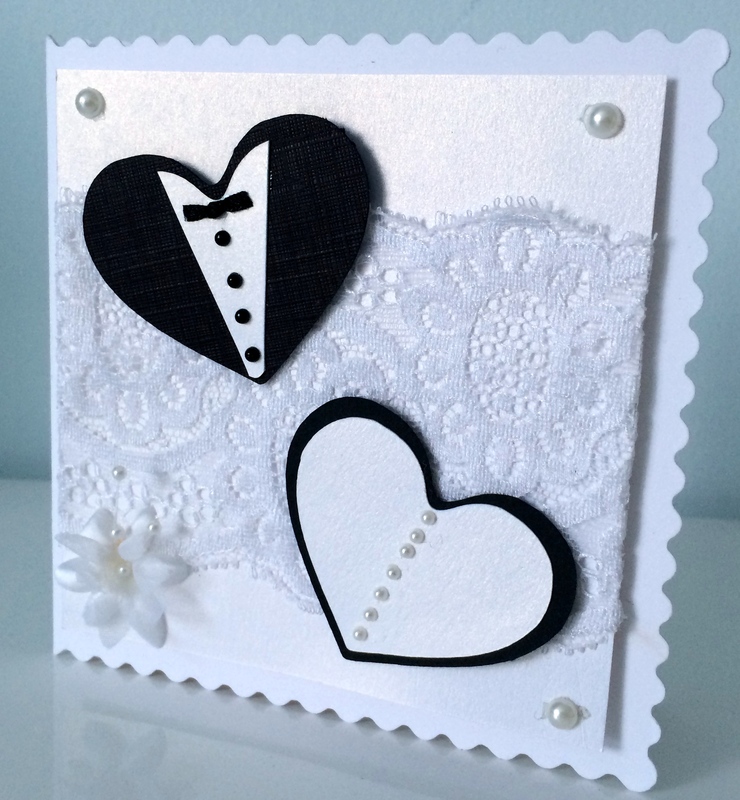 Although this was designed as a wedding invitation, with a silver or gold heart, it would make a wonderful anniversary card or invitation. 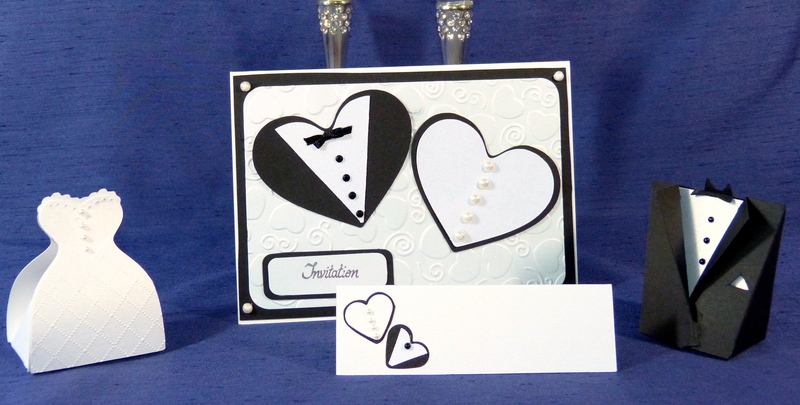 These cards have a lot in common, both have an old fashioned feel with the silhouettes and have wonderful curves. However, they do have an individual feel. It is always amazing how you can start off with a similar idea and end up with different cards. 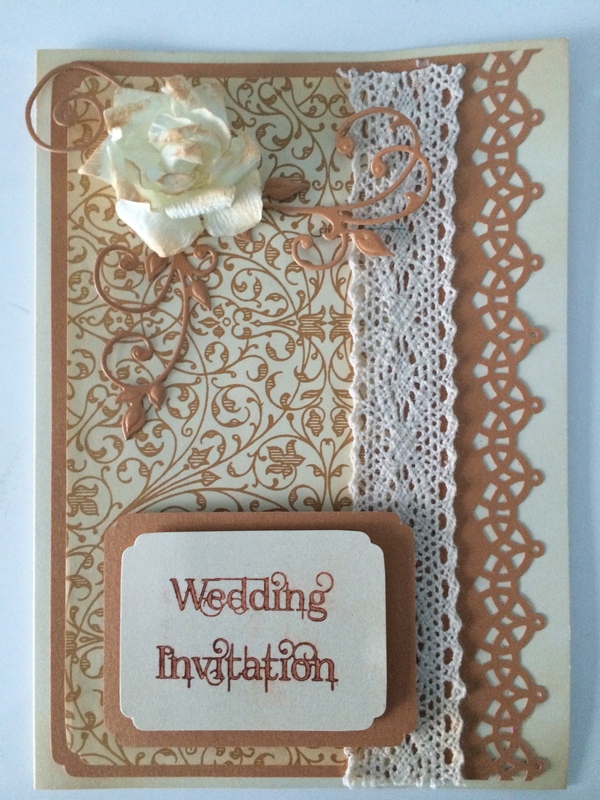 The photo does not show that they are both on wonderful pearlescent card and on the smaller card the lace is cut not printed. 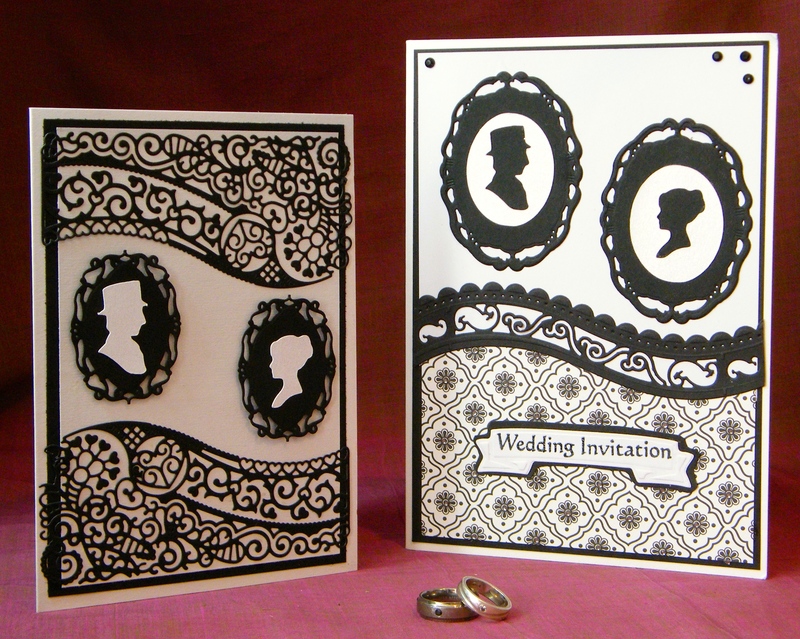 The silhouettes could also be used on save the date and place name cards, where you would use the appropriate figure for each guest. 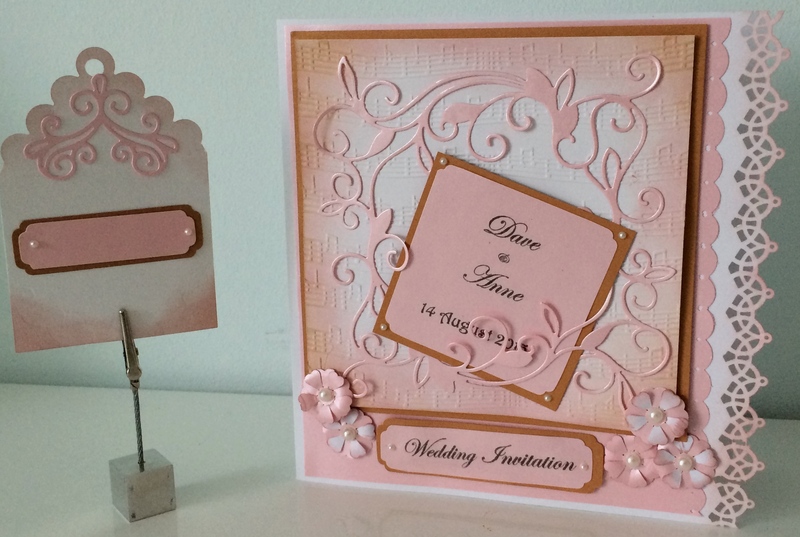 These Bride and Groom invitations always get a pleasing reaction at the wedding fairs. They have a modern feel without breaking all the rules. As you can see there is a matching place name and save the date would not be difficult to coordinate. The favour boxes representing the bride and groom complete the set. 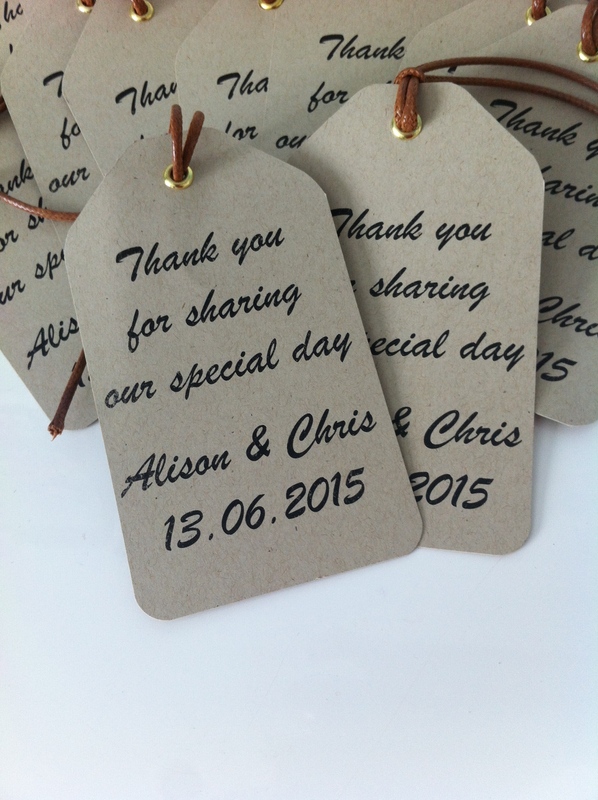 Each of these items is available separately so if you wanted just the favours or invitations then that is possible. 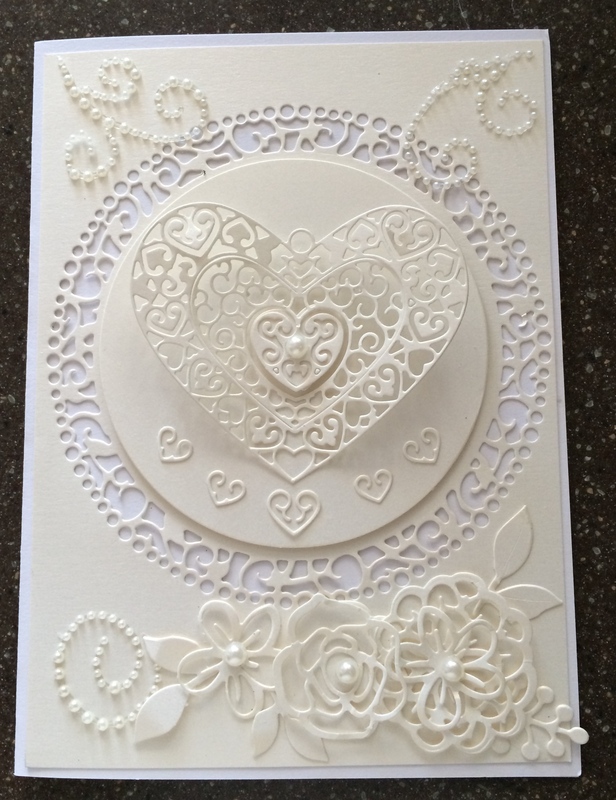 These are a selection of what I refer to as my up-cycled cards – cards I have been sent in previous years cut up and remounted to make new cards. 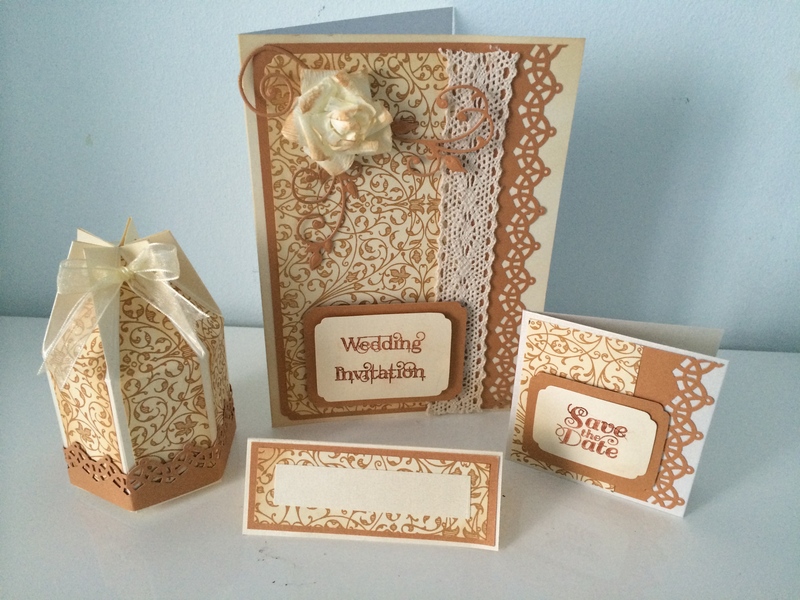 These are the cards that are made from scratch, hand stamped and hand coloured. And these are cut from a die then embellished with my usual bit of glitz!! Sorry there has been no post for a while – I have been away on holiday. 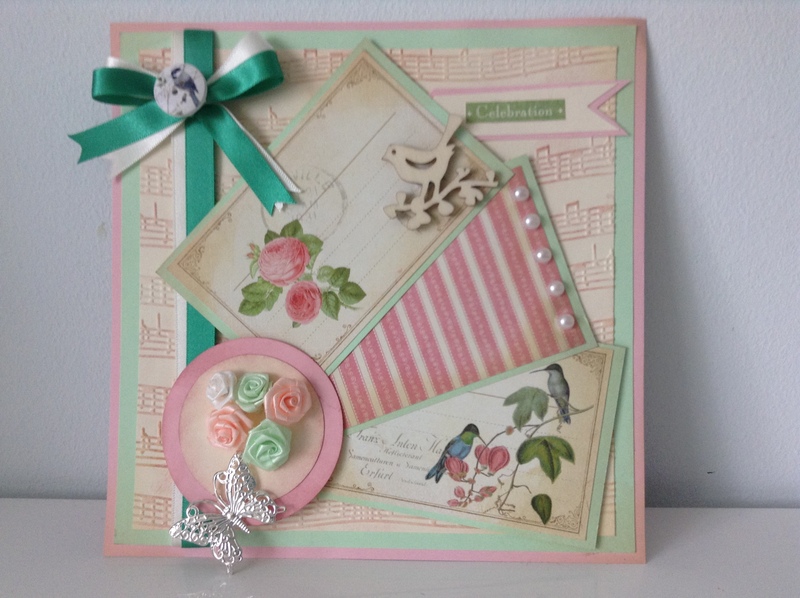 Now I am back I thought I would post another of my cards. 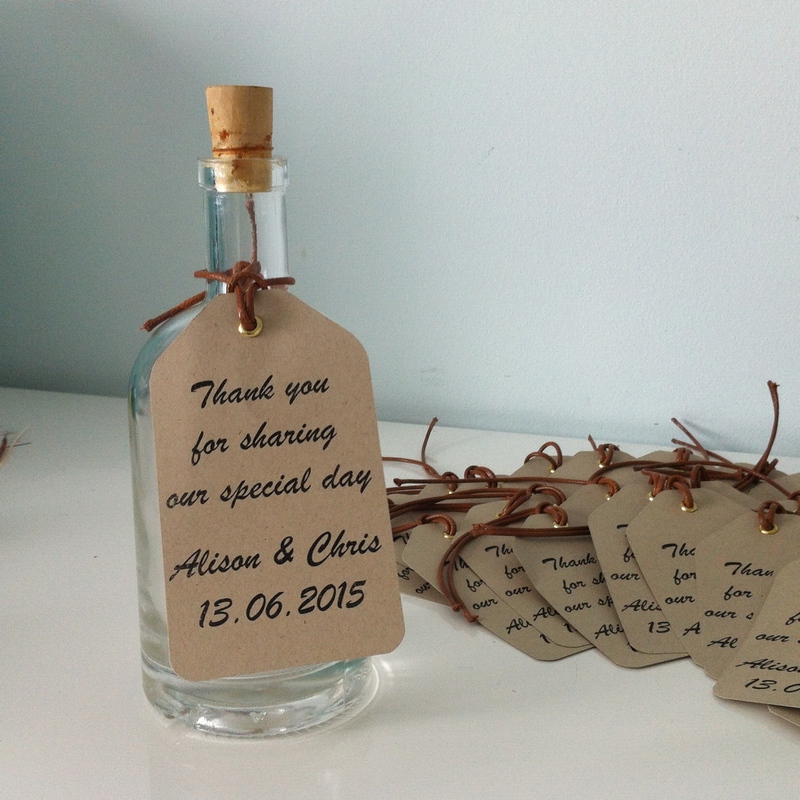 Although this was not are as a wedding invitation, it could be used as it is, or simplified a little. The background is embossed, then hand coloured. It certainly feels very spring like.